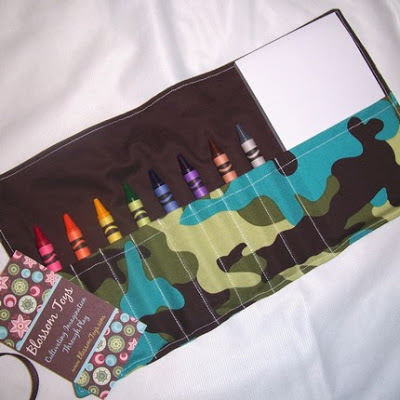 I saw this crayon and notebook tote and thought it would be very appropriate for my church bag. My crayons are usually thrown into a plastic ziplock bag, which eventually gets holes. And I’m always having to replenish the bag with new paper. Love this idea and it would keep Lucas very entertained–taking the crayons out, putting them back in, taking them out, putting back in. You get the idea. The post Doddle Caddy appeared first on Darling Darleen | A Lifestyle Design Blog .